Generously share your knowledge. Not mentioning your product or service too much in the content might seem counterintuitive, but this can drive a greater number of people to your website. If you provide your readers with information that is useful to them or helps solve a pain point they are experiencing, they will recognize you as a thought leader in your industry. Eventually you will be rewarded with more complex business needs. Tell a full and complete story. We are all inundated with information every day, so you will need to work hard to capture an audience’s attention. One way to do this is by telling a story in your writing in the context of the writing you are trying to get across. Educating your audience on your product or service is important, but it is much more likely to happen if you are hooking them with a narrative they can enjoy. Keep the writing conversational. Take a second to read a blog draft out loud; does it sound like something you would actually say while talking to somebody? If you would not let a member of your sales team use it in conversation with a potential customer word-for-word, you need to go in and edit what you have written. People are more likely to respond to writing that sounds as if they are being spoken to by a human being. Answer any audience questions. Do some research on your audience and identify the top questions they are asking. Your content writing should then focus on answering those queries as much as possible. Your audience will tell you what they want to read about, and they should play a major part in how you develop your marketing strategy. Writing relevant content will result in more readers and possible sales leads. 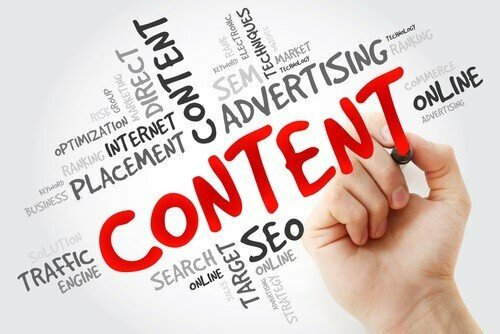 Content writing takes time to get right, but by incorporating the above tips into your work you can become an industry leader and see your website traffic grow exponentially.